Freed from the hand of the enemy each time we draw breath. We have been brought into the new to do new things. To walk into the true fullness of all God called us to be. “You are the light of [Christ to] the world. A city set on a hill cannot be hidden; Let your light shine before men in such a way that they may see your good deeds and moral excellence, and [recognize and honor and] glorify your Father who is in heaven. 13 Brothers and sisters, I do not consider that I have made it my own yet; but one thing I do: forgetting what lies behind and reaching forward to what lies ahead, 14 I press on toward the goal to win the [heavenly] prize of the upward call of God in Christ Jesus. Our understanding of the passage is illuminated as we examine some of the athletic imagery located there. Immediately my thoughts turn toward my high school track days when I ran anchor on the mile relay, the equivalent to the 4 x 400 meter relay today. Once the baton hit my hand, I grabbed it and focused on completing the race. If the other three members of the team had given me a lead, my task was to maintain it or if we were behind when I got the baton, I had to make up the distant and then pull ahead before crossing the finish line. To press toward the mark is to focus intently, to “scope in on” as one does with a telescope which blocks everything out except that which you are looking at. As I recall my track and field experiences, I also remember that many times the outcome of the entire track meet was known long beforehand, based on the total accumulation of points from all the previous track and field events, with the last two races being relays. Drawing a spiritual parallel with the spiritual athletic arena that we find ourselves in today, the believers’ team is so far ahead that we cannot lose. Even though we might not come in first in our individual event, our victory as a team has already been determined, however. We are all on the winning team. Faith can be said to be a kind of sine qua non, an indispensable condition, element, or factor; an indispensable ingredient. These verses remind believers that faith is essential to building and maintaining a solid relationship with God, for without it is impossible to please God. Hebrews 11, known as the Hall of Faith, introduces an array of individuals who accomplished great spiritual exploits as they walked by faith. Likewise, as we progress in our walk of faith, we learn that faith must be the firm foundation upon which we build. As followers of the Lord Jesus Christ, we grow and develop, as we discover that faith is the bedrock of our lives. We define faith as confident assurance, trust and conviction that we will prevail. Faith–“the substance of things hoped for, the evidence of things not seen”– operates beyond what we see, for we walk by faith, not by sight. In terms of illustrations of faith, we find excellent examples from the Bible and from the lives of great men and women who achieved impossible dreams. Despite a barrage of reasons why they would fail, they transformed failure into success. Without faith it is impossible . . . but with faith, the impossible becomes possible. We recognize and rejoice, knowing that “with God all things are possible.” Like the wise man who built his house on the rock, when the storms of life approach, if we have laid a firm foundation, the house that we build will stand, for faith is our sure foundation. What does it take to gain more than we can conceive? 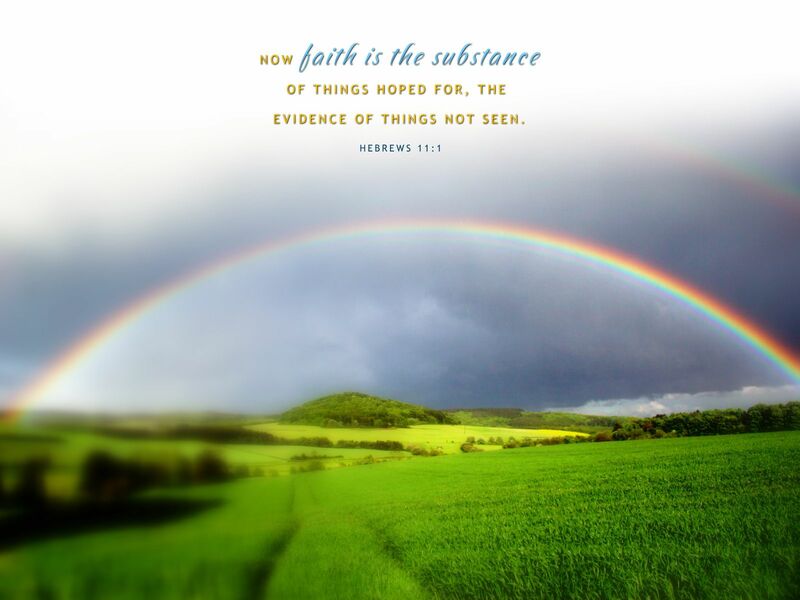 We have the measure of faith–God says we have it. Great promises are ours if we only believe. We have the faith of Jesus Christ, so give God praise. A faith to move mountains and excel all our days. In our passion to please God in all we say and do. To stand boldly before Him, faith is what it takes. I hurried and did not delay to keep Your commandments. Biblical scholar EW Bullinger notes that Psalm 119 is an acrostic psalm of 22 sections of eight verses each with each section starting with one of the 22 consecutive letters of the Hebrew alphabet. Take a look at the psalm and note that the first eight verses are labeled under Aleph, verses 9-16 are labeled under Beth; the same sequence follows for all 176 verses (8 x22). It is well with the man who is gracious and lends; He conducts his affairs with justice. The Psalmist reiterates that reverence and deep respect for God and His commandment open up the way to true happiness. The person who delights greatly and meditates deeply in His precepts, the one whose primary focus is to seek earnestly to understand and obey God’s commandments, is blessed [fortunate, prosperous, and favored by God] beyond measure in every way. The Scriptures also speak of both words and deeds. Nowhere are these two elements more brilliantly displayed than in the Lord Jesus Christ described as “. . . a prophet powerful in deed and word in the sight of God and all people” (Luke 24:19). 1 John also points out that as followers of the Lord Jesus Christ, we must express our love not only with the words we say, but we should likewise demonstrate our love by what we do. 18 And all of this is a gift from God, who brought us back to himself through Christ. And God has given us this task of reconciling people to him. 19 For God was in Christ, reconciling the world to himself, no longer counting people’s sins against them. And he gave us this wonderful message of reconciliation.